This post Our Visit to the Philly Pretzel Factory in South Bend/ Philly Pretzel Factory Review was sponsored by Philly Pretzel Factory via US Family Guide. All opinions are my own. We love trying out new places to eat, so when The Philly Pretzel Factory asked us to give them a whirl, they didn’t have to twist our arms. We love pretzels, and we love food we can grab and go, so The Philly Pretzel Factory seemed like a natural fit. During one of our hectic midweek nights, we decided to stop in and grab some dinner to go. Read all about our visit to the Philly Pretzel Factory, South Bend! First, a bit about Philly Pretzel Company. Philly Pretzel Factory is the world’s largest Philly-style pretzel bakery, with well over 100 franchised locations – and growing. In fact, one of the most recent locations is right here in South Bend, Indiana. Every day at The Factory, they mix freshly made dough and hand twist each and every pretzel. 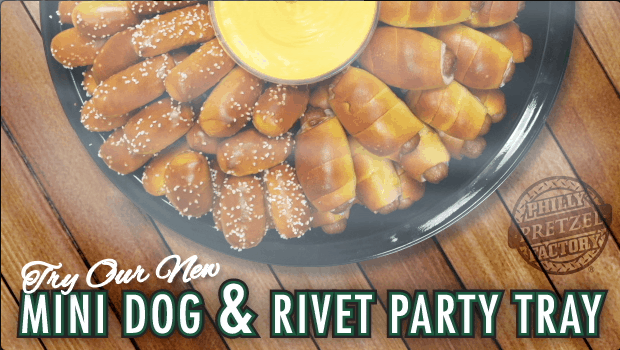 From their award-winning soft pretzels to crowd-pleasing party trays, every menu item is guaranteed to be fresh baked and served hot outta the oven! Whether you need dinner for one or for a crowd, Philly Pretzel Factory has grab and go pretzels or you can order trays to go! 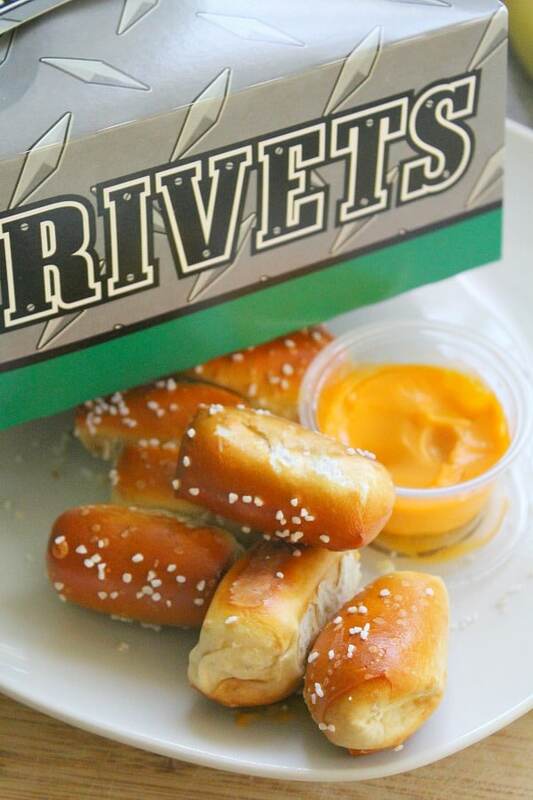 Choose from their Rivets pretzel bites or the Mini Dog Bites, perfect for tailgates or parties of any kind. 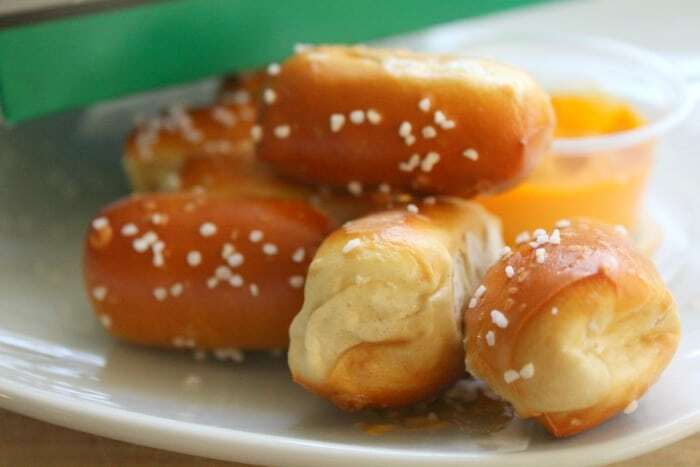 Whether you want a quick lunch or easy dinner, swing into South Bend’s Philly Pretzel Factory. The staff is amazing, the pretzels are hot, and the prices are tasty AND reasonable. And don’t forget to give them a call when planning a party! Their party trays are a unique offering to present your guests! If you don’t live in the South Bend area, you can find your own local Philly Pretzel Company when you search here! You can also learn more when you Philly Pretzel Company.